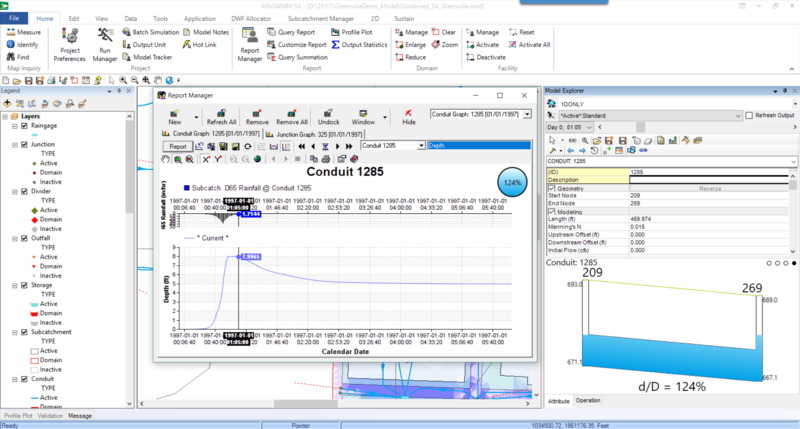 New InfoSWMM linked 2D Link and 3D Node graphics help you understand one of the most critical outputs in any Stormwater, Combined Sewershed or Sanitary Sewershed Network Model the value and timing of how full the pipes and nodes are over time and how this changes during Wet Weather Flow (Runoff or Infiltration Inflow).These new graphs are included in InfoSWMM v 14.6 and InfoSWMM SA V2 (InfoSWMM SA is not an Esri Extension in ArcMap but uses Arc Engine for GIS processing power) has many new graphical and map display tools that help answer the following modeling questions in a easy to understand group of linked Time Track Graph, 2D Graphs and 2D Thumbnails. If you are modeling a Stormwater Network and need to know the d/D or depth over maximum depth over time and at the peak of the Runoff event you can view linked graphs as shown in Figure 1. 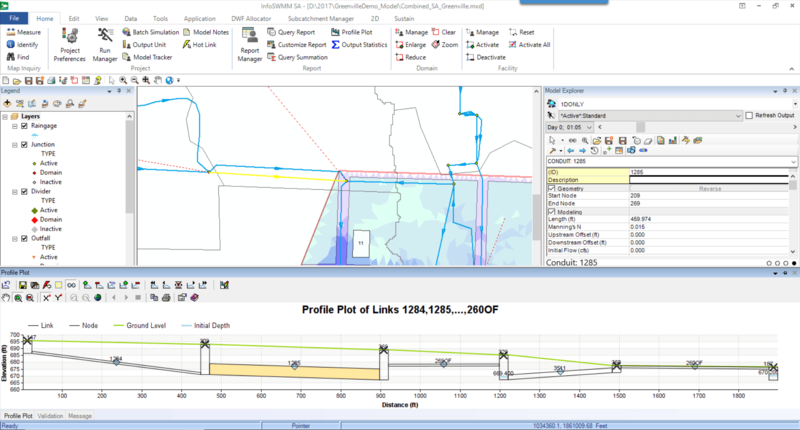 If you are modeling a Sanitary Network and need to find the d/D for Rainfall Induced Infiltration and Inflow (RDII) you can see the RDII flow and the Node depth and connecting link depths in a linked animation of the 3D node image in the Attribute Browser and the 2D Linked Node Graph for RDII flow as shown in Figure 2. If you are modeling a Combined Sewershed and need to know the d/D or depth over maximum depth over time and at the peak of the Combined Runoff event you can view linked graphs as shown in Figures 3 and 4. Figure 2 Linked Time Track, Animation Time Control on the Attribute Browser, 3D cross section view of the node depth and connecting links to the node. 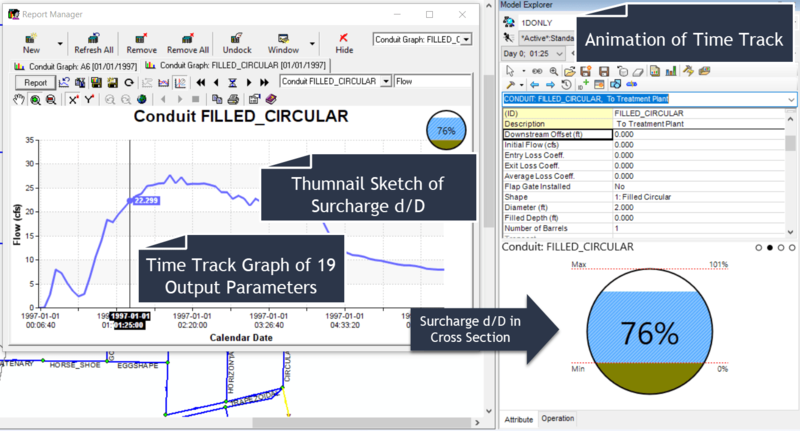 Figure 3 Linked Time Track, Animation Time Control on the Attribute Browser, 2D HGL or Profile Plot of the Surcharge d/D for a Link. 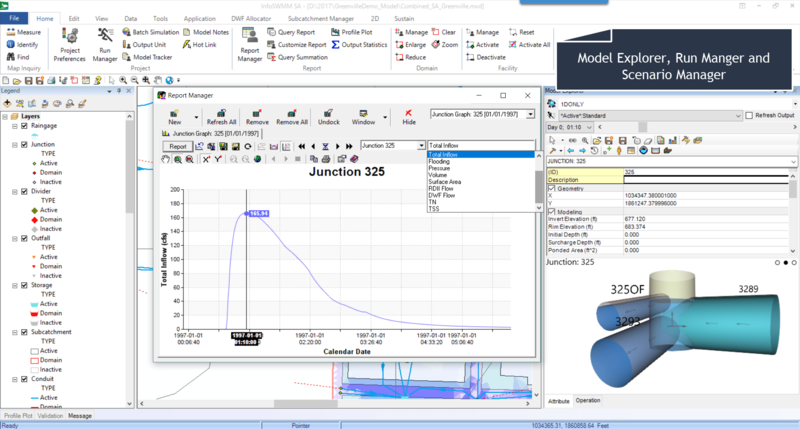 Figure 4 You can also see the Profile Plot of the Input Node Invert and Rim Elevations as well as the inverts of the connecting links in a popup Window.